Sometimes, making on time payments and paying more than the minimum balance isn’t enough to keep your credit history untarnished. There are new worries that many consumers are using their credit cards in the most unlikely ways and the reason is because they’re trying to rack up on their rewards points or cash back. Too many times, though, it fails. It doesn’t matter if a consumer carries one or five credit cards, if he’s using them just for the perks, there’s a good chance he’s raising red flags with future creditors as well as playing Russian roulette with his credit scores. said one credit counselor we spoke with. Not only that, but many are shocked to discover this plan often backfires in that they’re paying far more in interest than what those rewards are worth anyway. The more card balances consumers carry, the more likely they are to have late payments or find themselves in true financial trouble. In the end, it’s rarely worth it. Generally, taking advantage of rewards should be seen as a nice surprise once a year versus a focused target that defines your credit card usage. Remember, credit card companies were hindered with the passage of the 2009 CARD Act in how they can raise APR and collect fees – so they’re looking for anyway they can to collect on that lost revenue. They’re more than happy to craft their contracts to include clauses that allow them to raise your interest rate with a single late payment. The kicker is that they must now provide at least 45 days notice before instituting that particular contractual clause – and even if you’re having trouble keeping up with due dates, you can be sure your card company knows. Needless to say, it could spell big trouble for some consumers who quickly learn those rewards simply weren’t worth it – especially if they stop using a particular credit card due to the APR increase. Many consumers are drawn to intro APRs, only to realize that sixty days or six months fly by. What they’re left with is a higher interest rate, even with all those great cash back bonuses or rewards points. If they sit down and do the math, though, there’s a good chance they’re not even breaking even. Those who aren’t as cautious with staying within a certain percentage of their available credit will most often find themselves going over the credit limit – this almost always triggers over the limit fees. 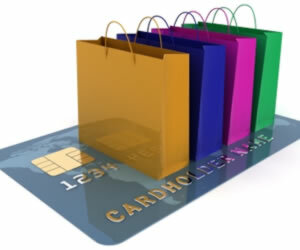 The new laws, however, require card holders to opt in if they want their credit card companies to cover the charge. That said, credit card companies aren’t obligated to do so. It’s 100% the card company’s discretion and the over the limit fees aren’t part of the opt in process. When you’re focused on earning rewards points, it’s easy to lose track of due dates. Grace periods are only good if you can remember to make the payments before your due date. Not only that, but if you’re carrying several credit cards, it can become difficult to keep up with those due dates. You might find yourself asking which card comes with a 25 day grace period and which one offers just 21 days. Make one wrong calculation and those rewards points will quickly lose their importance by the time you pay late fees and realize your interest rates going up in a month and a half. A poll conducted by Visa several months ago tells the tale in how credit scores are calculated. This is important because many consumers still believe the more cards one has, and provided he makes on time payments, the better his credit score. What the scores are really based and how much weight is given breaks down to these considerations: payment history (35% of the weight given), the amount owed (30%), the length of credit accounts (15%), how many new accounts are showing on a report (10%) and the type of credit, such as revolving or fixed loans. Whether or not you’re juggling several credit cards for the sake of earning those rewards, you should at least request a copy of your credit report every year just to see how big of an effect the multiple cards have on your scores. Not only that, but you want to be sure information is accurate and in fact is being reported. Many are surprised to learn there are still a high percentage of errors in credit reports today. The Consumer Financial Protection Bureau is currently writing new compliance laws that will ideally eliminate many of those errors, but that’s still at least a year away if not longer. Credit is an intricate part of our lives and whether it’s good or bad, it’s going to affect our decisions. Not only that – and perhaps more importantly – it’s going to affect the way we’re offered credit (or not). Proper financial management and recognizing the rewards are great, but they’re just a perk – not the purpose – of owning a credit card. Finally, if you’re considering closing any of your credit accounts, you should carefully consider which ones you’ll close. Consumers are generally advised to keep their oldest revolving accounts open as it provides more history than a newer credit card will. Even if you use it occasionally, it’s worth it – especially if you anticipate a new car loan or perhaps are looking to buy a home. Remember though if you’ve been working on collecting gas points or cash back, this could hinder your efforts for quite some time. Have a story to share? Have you found yourself chasing the credit card rewards only to realize it’s a lot of work? How did you break the cycle? If you’ve not, have you ever considered it? Share your story with us and other readers. Be sure to like our Facebook page and follow us on Twitter, too.